Who doesn’t love escape rooms? For me it’s not only an exercise of your wits, but also a test of your composure and of course team work. 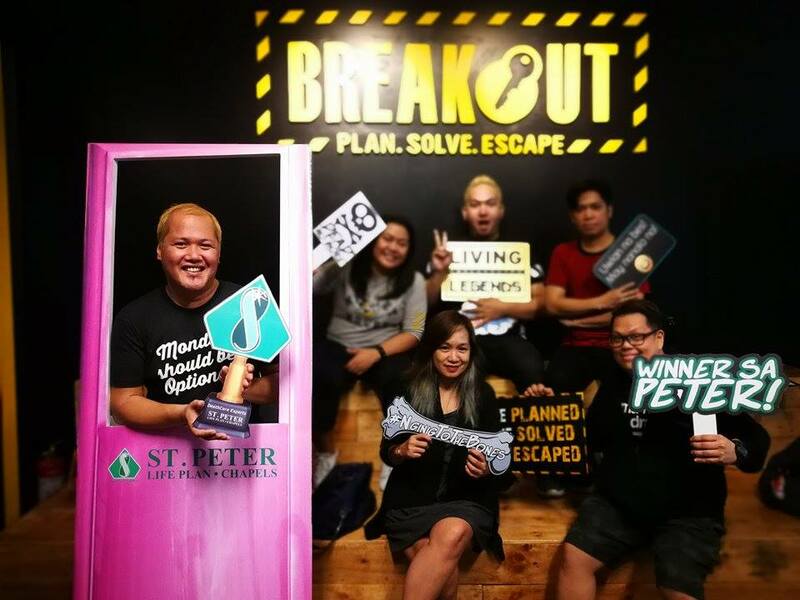 My first escape room experience was just a few months ago in Baguio with a group of 6. It was fun, exciting and an adrenaline rush, which had us solving a series of puzzles using clues, strategy, markings and physical strength. We were panicking and shrieking everytime we would figure out a puzzle and move on to the next room as the killer was chasing us. Who would have known that 7 people could fit inside a cabinet. We managed to get out though and I learned that the key factor to getting out of the room is team work and to always stay focused whatever happens. 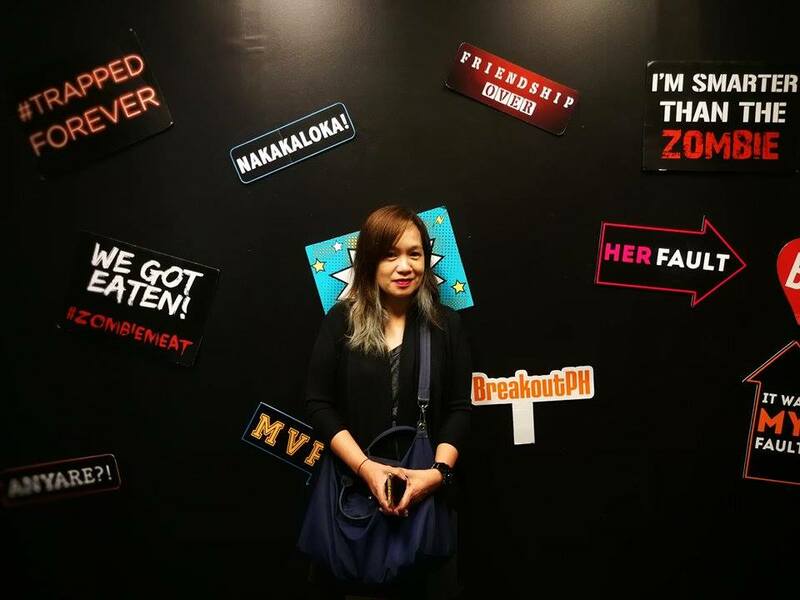 Last Sunday, we tried Breakout Philippines Boogeyman room. The Breakout PH crew gave us instructions before he let us all blindfolded to the room. He gave us 45 minutes to get out of the room. Unlike the one in Baguio, this one was way more difficult and we couldn’t even figure out the first puzzle. It took us more than 20 minutes to figure it out and it was just because we had some luck with the combination. The second room proved to be even more difficult as it was even darker and we couldn’t even see the locks. But through teamwork and again luck, we found the key and found our way out! 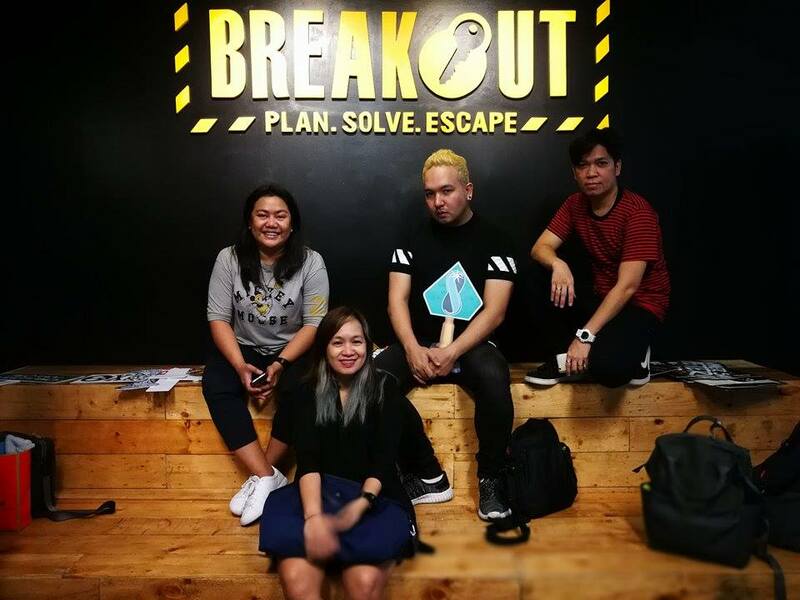 If you haven’t tried a breakout room experience I really would suggest you try one out especially this season. And the good news is you could even get discounted rates if you are a plan holder. 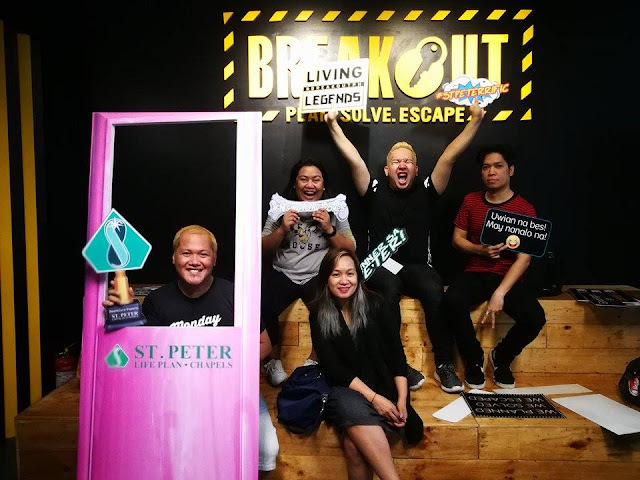 St. Peter Life Plan has partnered once again with Breakout Philippines to emphasize the need to plan ahead, not just for your own memorial needs but for your family as well. 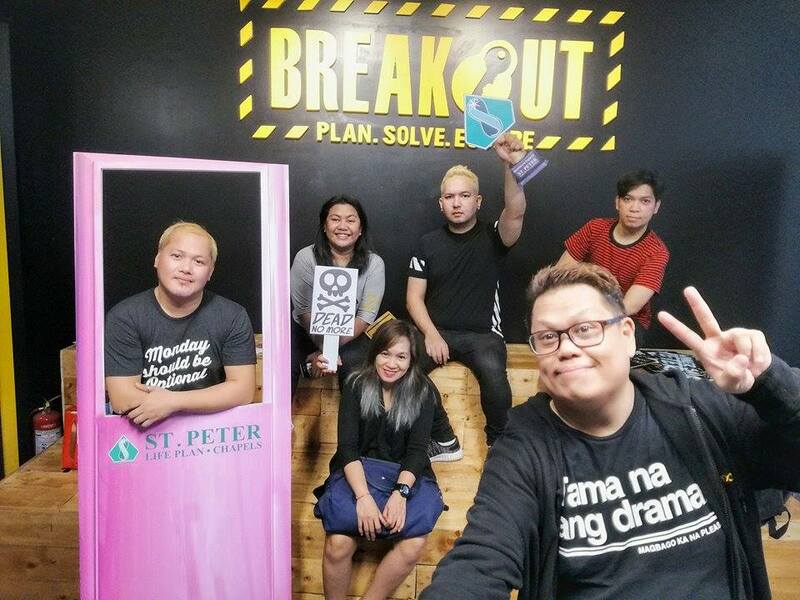 If you love escape rooms, make sure to sign up for one of the St. Peter partner rooms at BreakOut PH. Check out the rooms and schedules below! 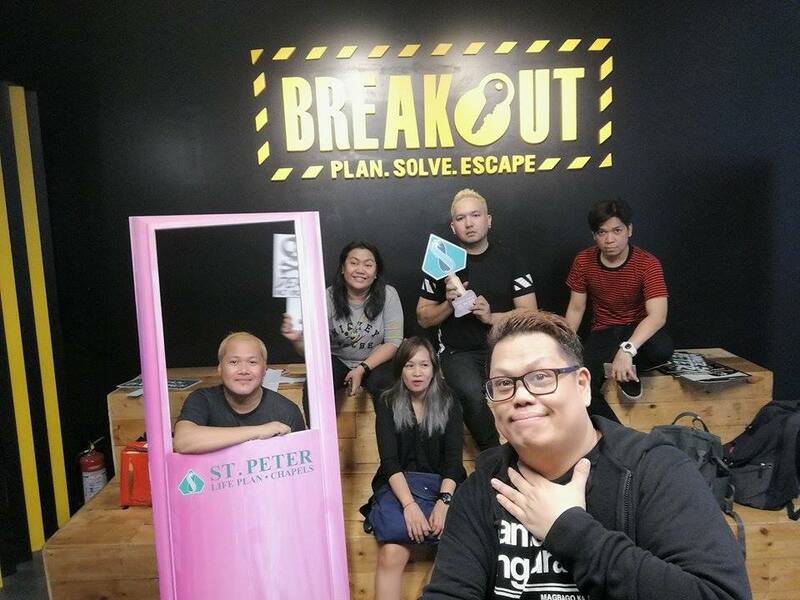 Make sure to look out for a pink casket inside the room and present it to the Breakout PH crew when you are finished with the game. Breakout players who had the cute pink casket with them, can avail of Php 100.00 off from the booking fee. The Employees, Sales Agents and St. Peter Life Plan Plan-holders can also avail of Php 100.00 off from the booking fee upon presentation of Employee ID, Sales Agent ID, Plan-holders Identification Card or the white copy of the St. Peter Life Plan Contract.